If you are passing through the beautiful countryside surrounding Burnham Norton you could be forgiven for taking a second glance at one of the fields and wondering what the farmer is growing. Where you are normally faced with the deep green of sugar beet or the golden yellow of barley, instead there are rows of purple flowers, growing from a grass-like foliage. This is because you have arrived in Norfolk Saffron territory and the crop you are seeing is the saffron crocus, a delicate purple flower with reddish gold threads. It is these threads that are the source of the spice that is, literally, worth its weight in gold. It is with this backdrop that Dodd&Co have completed their latest project – to fence off this high-value crop from the hordes of marauding rabbits and muntjac deer that roam the area. The animals can devastate the crop, so Norfolk Saffron – the award-winning producers of this versatile and luxurious spice – brought us in to put an end to the problem. The area to be fenced incorporated a 300 metre fence line. This is not a particularly large area but the fencing needed to be of top quality, affording the highest level of security against these pesky invaders. The other stipulation was longevity. These needed to be posts that would last for a number of years. For that reason, we used creosoted wooden fence posts that would withstand the elements. Burnham Norton is a coastal village, so the Saffron fields are assailed by sea breezes, salty atmospheres and the fierce north winds. The additional creosote covering will add a layer of extra protection. The fencing also needed to be sturdy because deer are deceptively strong and determined. The straining fences stand three metres and are a hefty 7-8 inches wide. The intermediate posts are 2.4 metres and 3-4 inches wide. The main netting is a premium product, the Tornado Titan Knot (T15/155/15). In addition, to prevent the rabbits from burrowing under the fence line, Tornado Premium Rabbit Netting has been buried into the base of the fencing. This is 1,200mm high with an 18 gauge. It has been turned out 450mm and then pegged. The premium netting is recommended and used by Forestry Commission and the Highways Agency. Again, Norfolk Saffron is at pains to offer the crops the best protection, so investing in a product of this quality makes economic sense. As an aside, rabbits are a scourge to the agricultural community generally. 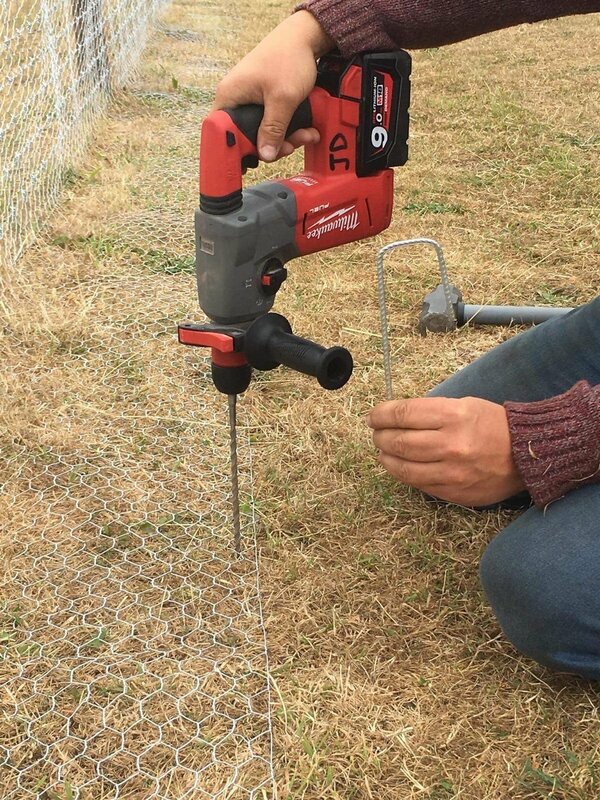 It is estimated that rabbits cause more than £100million a year through crop damage – for this reason, we always take extra care to make sure that the fencing offers complete security against the lagomorph population. The fencing is dug well into the ground to prevent the most determined rabbits form entering the crop growing area. There are two metal gates giving access to the field and these have a concrete base, again to prevent the rabbits burrowing into the field. The gates were hand-crafted at the Dodd&Co workshop and have been made to specific standards. This project has brought together two companies that share the same ethos. At both Norfolk Saffron and Dodd&Co, the owners have belief in the quality of their products and the need for sound investment in the business for the best return. 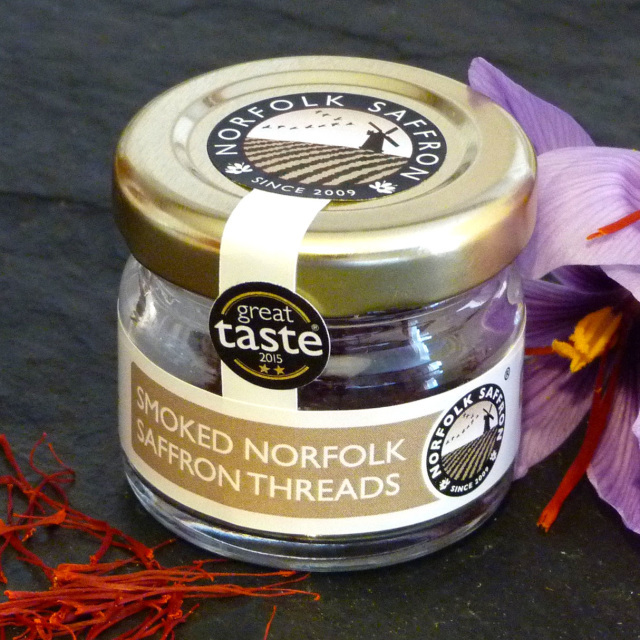 Norfolk Saffron gained a Great Taste Award for Norfolk Saffron in 2012, and independent laboratory testing shows that every year the produce from Norfolk Saffron conforms to ISO 3632 category I, the top international grade for saffron quality. This makes Norfolk Saffron roughly equivalent to Spanish Coupé grade - the grade above Mancha. Saffron does not just look beautiful, it gives food a divine flavour too. Norfolk Saffron’s flavour is honeyed and floral, yet with a slight bitterness. Top quality saffron is so much more than just a yellow food colouring. 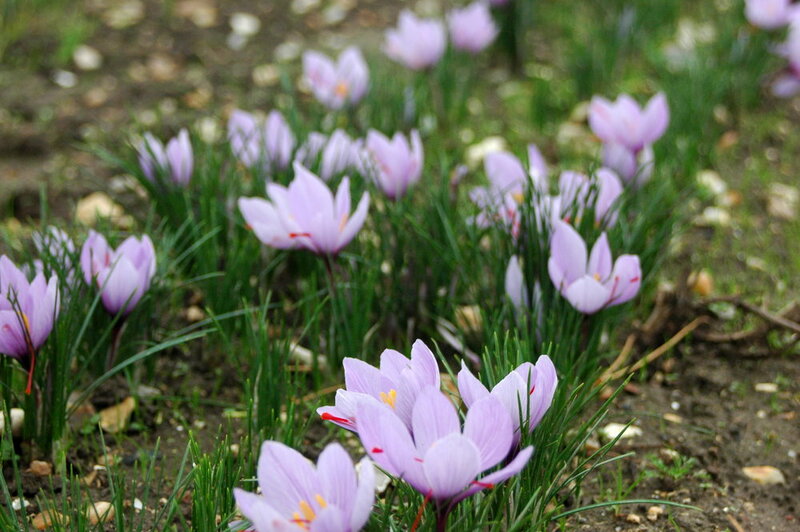 Norfolk Saffron is perfect for sweet and savoury dishes. Aside from simple saffron rice, there are several other classic saffron recipes e.g. Cornish Saffron Cake, Paella, Bouillabaisse and Risotto alla Milanese. There are many other delicious recipes, as well as a history of Saffron, in Norfolk Saffron's book, Saffron Book. Finally saffron can also be used as a dyestuff and as an artists' pigment.